On the eve of the new Star Wars Batttlefront II's beta trails beginning, and with just mere weeks left until the full game is made playable, we just got some unexpected news about the original Battlefront II. The original game, which has easily become one of the most popular Star Wars games ever since its release in 2005, is getting somewhat of a rebirth all these years later. 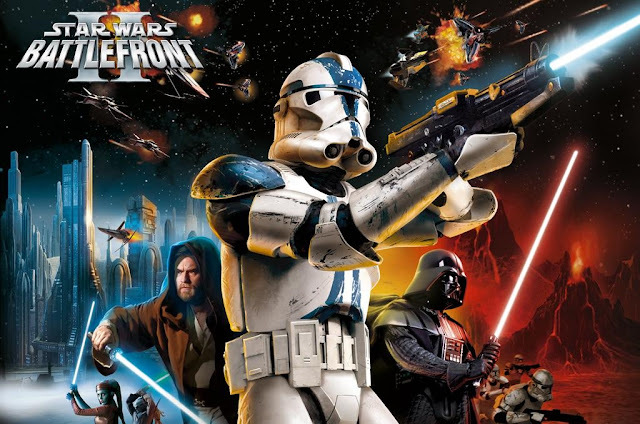 One of Star Wars: Battlefront II's greatest assets was it's online multiplayer feature. 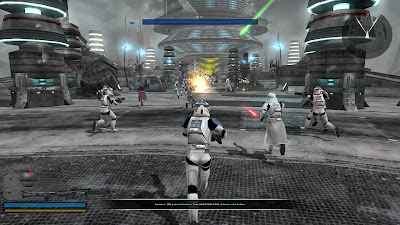 The game was hosted on Gamespy's online servers, and when those were shut down in 2014, Battlefront II's multiplayer mode went with it. While some devoted players found ways to continue playing online through various complicated processes, Battlefront II has remained predominantly offline in recent years. Thankfully, that's not the case anymore! "Star Wars fans rejoice! Multiplayer support has returned for Battlefront II. Now you can draft your friends to the 501st legion and join up to 64 other players in a heated online battle for control of the galaxy." I myself have been a diehard Battlefront fan since the game was released over a decade ago. It's still incredibly fun to play, but it has not been the same since multiplayer has been down. I'm really excited that, despite all the focus on the new Star Wars Battlefront II, older games are still being given attention. wat if i own disc version for xbox..... or is it just steam pc users????? ?